On Monday, Pennsylvania Health Secretary Dr. Rachel Levine announced plans to allow patients access to whole plant, dried flower, as well as more qualifying conditions. The move reverses the previous rule permitting dispensaries to sell only processed forms of cannabis, which some say limited access and kept costs high for patients. According to the Marijuana Policy Project (MPP), the Department of Health approved changes to the program at a hearing on Monday, which were recommended by the Advisory Board last week. While smoking remains theoretically prohibited, patients can now access the flower for vaporization. The medical cannabis program in Pennsylvania has only been functional for a few months now; patients began getting access to the drug back in February of 2018. In a press release, MPP says only a small number of cultivators and dispensaries are currently operating. This fact, coupled with the need to purchase processed forms of cannabis, has created product shortages and costly medicine for patients. The qualifying conditions added to the list for patients seeking medical cannabis is set to include cancer remission therapy as well as opioid-addiction therapy, which are two very notable additions. With more qualifying conditions and a potentially cheaper form of medicine, these changes could improve the program’s efficacy in treating patients. 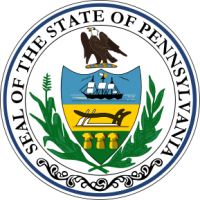 The post Pennsylvania Adjusts Medical Cannabis Program appeared first on Cannabis Industry Journal.